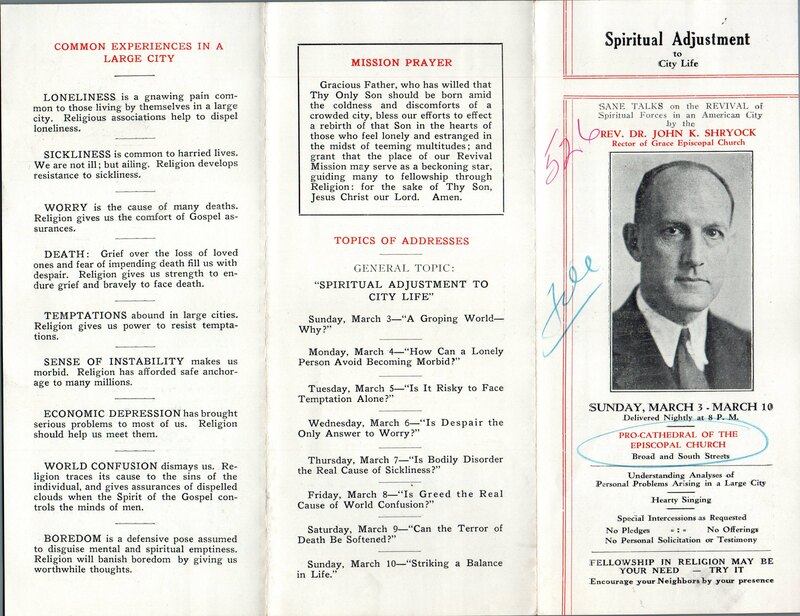 This entry was posted in Grace Church and the Incarnation, St. George's Chapel (Venango) and tagged Archives of the Diocese of Pennsylvania, John K. Shryock, North Philadelphia, Port Richmond on February 19, 2018 by mjk38. 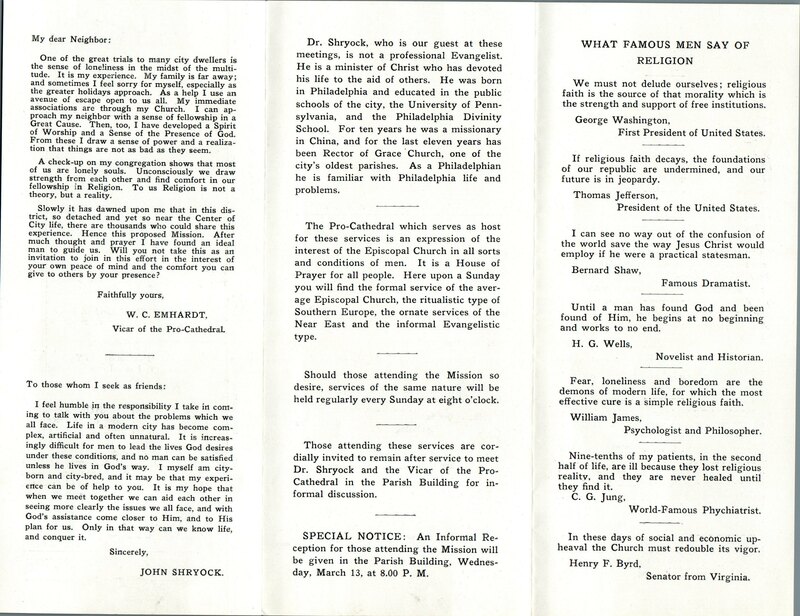 This entry was posted in Grace Church (Philadelphia), St. Andrew's Church (West Philadelphia) and tagged Archives of the Diocese of Pennsylvania, John K. Shryock, Powelton Village, West Philadelphia on January 7, 2017 by mjk38. 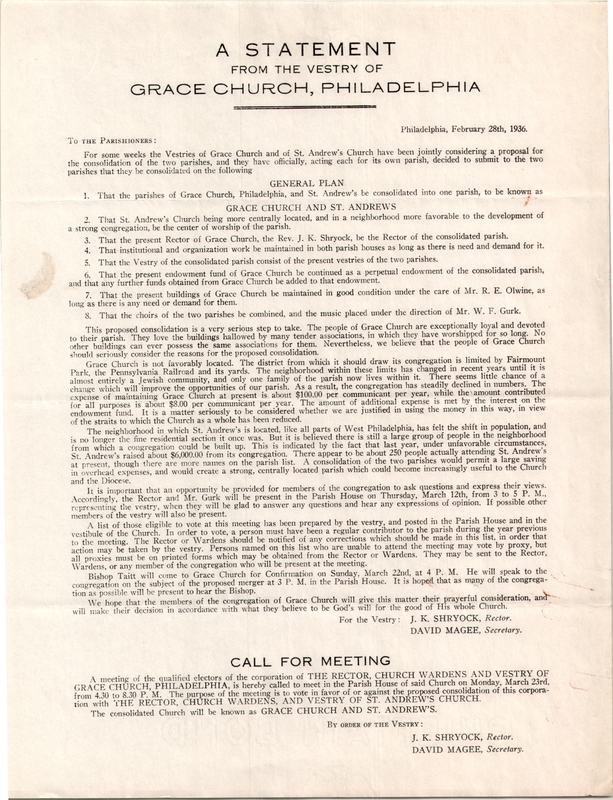 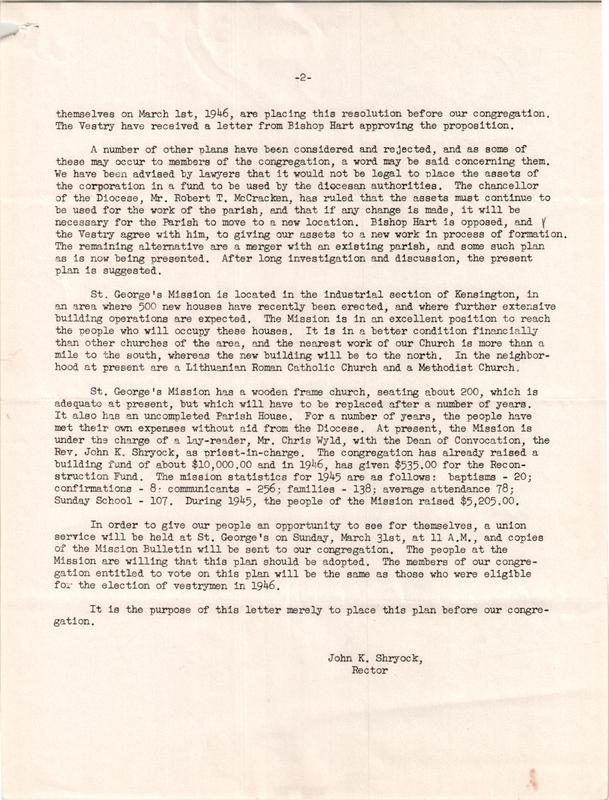 This entry was posted in Grace Church and the Incarnation, St. George's Chapel (Venango) and tagged Abel John Arkin, Alexander J. Kilpatrick, Alfred A. Gilman, Alfred Redding, Arnold Harris Hord, Charles A. Hulet, Charles E. Tuke, Henry P. Prentiss, John K. Shryock, John Totty, Leonard Sachs, Morris W. Derr, Northeast Philadelphia, Philip Broburg, Port Richmond, Robert C. S. Deacon, Waldemar Jansen Jr. on September 7, 2014 by mjk38. 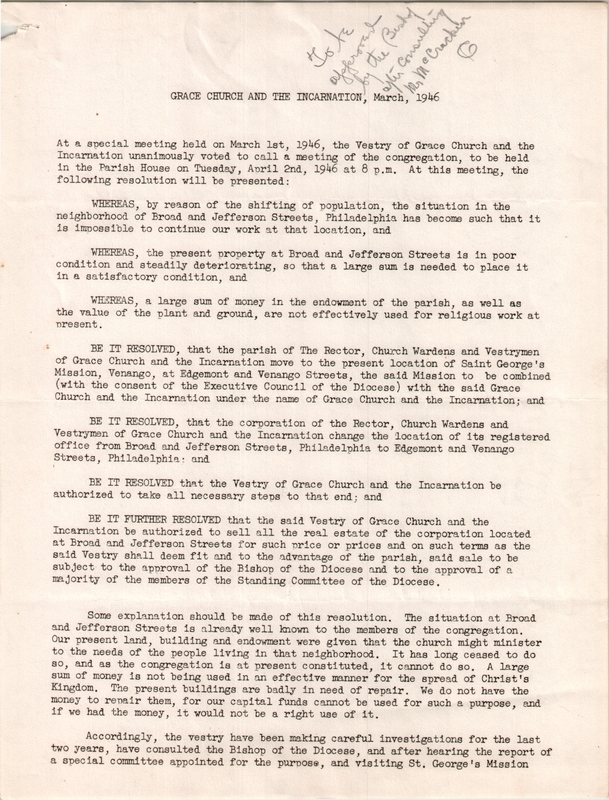 This entry was posted in Church of the Incarnation, Grace Church (Philadelphia), Grace Church and the Incarnation and tagged Church News of the Diocese of Pennsylvania, John K. Shryock, North Philadelphia, West Philadelphia on August 17, 2014 by mjk38.